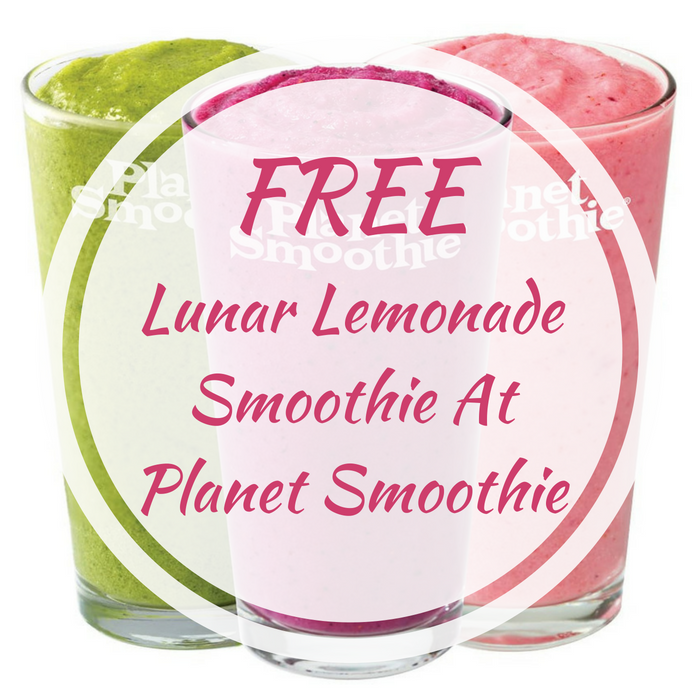 FREE Lunar Lemonade Smoothie At Planet Smoothie! You are here: Home / FREEbies / FREE Lunar Lemonade Smoothie At Planet Smoothie! On June 21, from 2pm – 4pm only (local time)! Head over to Planet Smoothie where they will be offering a FREE 16 oz Lunar Lemonade Smoothie! No coupons or purchase needed. All you need to do is mention the National Smoothie Day. Sweet!